Modern office routine usually involves extended periods of sitting at a desk working on computers, typing and writing. Such a sedentary lifestyle can lead not only to back injuries but also to Repetitive Strain Injury (RSI). This encompasses all work related upper limb disorders which most often affect the neck, arms and wrists of people using computer equipment on a regular basis and for prolonged periods of time. RSI is now the second most common industrial complaint in the UK. Back ailments and RSI are bad for employees and bad for business. The Back Shop will help you resolve these problems in your business or work environment. To help prevent upper limb disorders it is essential that working surfaces and related equipment are correctly positioned. Even if you are not a keyboard user or involved in other repetitive tasks it is still vitally important that you maintain a good posture at your desk. 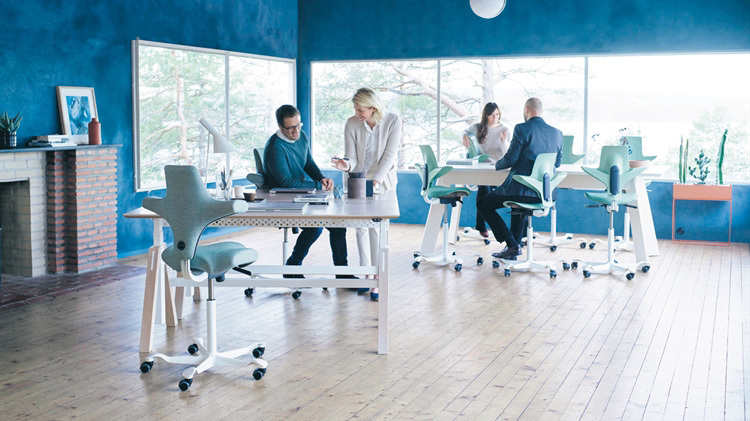 The Back Shop Free Posture Assessment Service will help you determine the most beneficial environment, whether it be for your own individual requirement or a corporate multi-employee sittings.